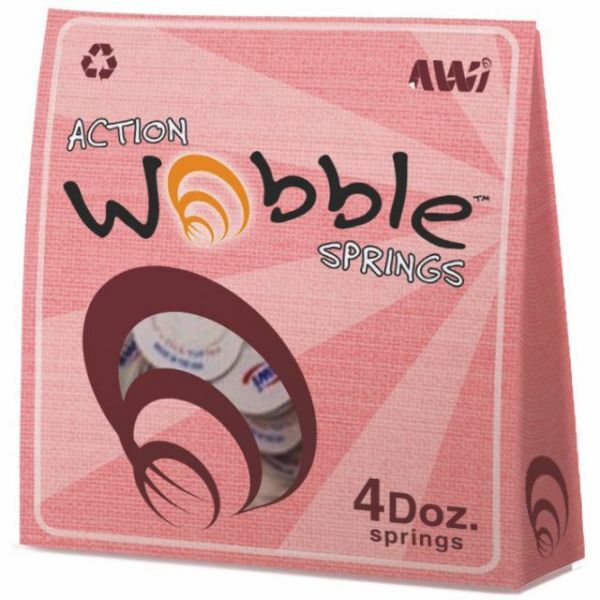 Action Wobble Spring 48/Pkg - ACTION WOBBLE-Action Wobble Springs. 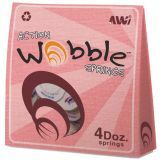 These plastic springs make it easy to create fun wobbly projects! Each one can easily be included in scrapbooking, crafting, card making, school projects, invitations, parties, decorations, and more. There are self-adhesive bases on each end of the spring that measure 1-1/4x1-1/2 inches, the spring itself extends approximately 1/4 inch. This package contains forty-eight Wobble Springs. Made in USA.